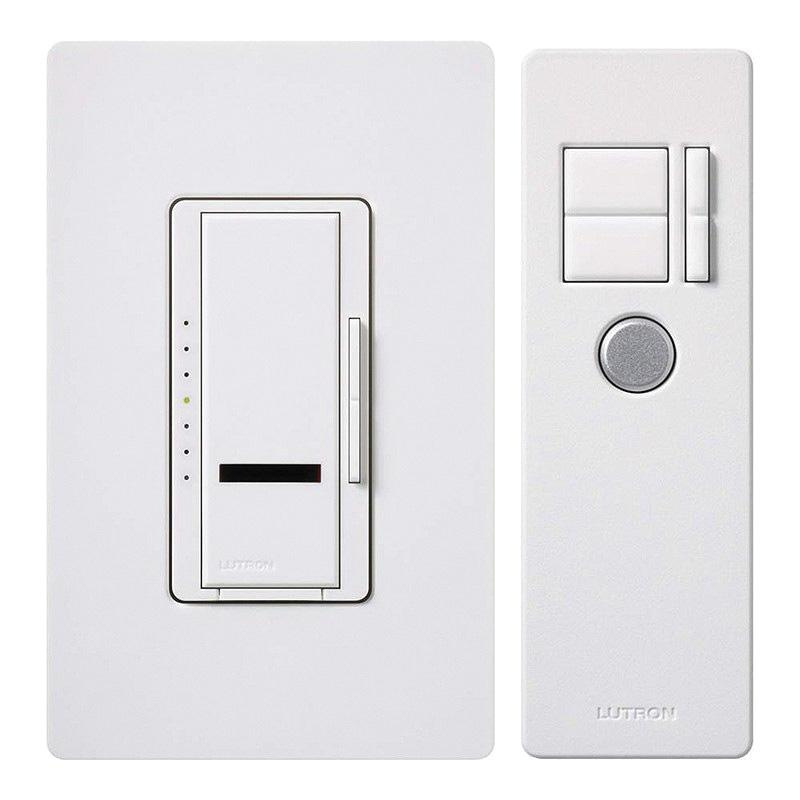 Lutron Maestro® Digital fade dimmer in white color, has voltage rating of 120-Volt AC at 60-Hz. This 1-Pole digital fade dimmer in gloss finish, withstands maximum load of 600-Watts and works with incandescent/halogen lamps. It has LEDs that glow softly when the light is off to show switch location. Digital fade dimmer has standard-ON/soft-Off functionality. Digital fade dimmer measures 6-Inch x 3-Inch x 7-Inch. It is ideal for commercial and residential applications. Digital fade dimmer is UL listed and CSA certified.